|| My name is Shirayuki Hikari, a death goddess... It's very nice to make your acquaintance---. I may have requested you, or you have may requested me. I'd love for us to eventually create a rather wonderful story with one another, I'm up for chatting as well. My name is Yuri Plisetsky. Don’t confuse me with the Japanese Yuuri. That’ll piss me off. if you roleplay with me, I’m not that friendly to get along with. then remove me from your list. If you have discord; feel free to add me. Thanks for the add. Hope to start a story-line with you soon. //Do you want to become a main of mine? Tch. I didn't think I'd have to do this all over again. 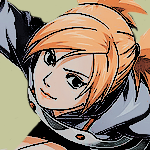 -Sighs.- The name is Temari, oldest sibling of the Sand Siblings. Yes, that means Gaara and Kankuro. Don't get any funny ideas, I will put a world of hurt on you if you so much as touch either one of them. But; other than that. I suppose we should get something going or stuff; you know? Hit me back, lets bounce some ideas or jump right in. Whichever. Later! "The characters are on the left side of the layout along with there bio. I have Males and Females"
Then on the right is the Verse I do role play in I do more then what is listed, I am sure if you wish to know them all, I list them in a massage. Also on the right side is my rules and theme's set for each character I have. Please just pick a character so we can get some thing going if you are multi character like me I will pick one of yours too,. If you have no idea then messages I will you work that out. Also if you do not see a character you want then please by all means as me about making one that would fit for you. I often forget things so I will look at your profile upon this greeting to get a idea and once a role play is started I will look over your profile again to make sure I am not forgetting things but if by chance I do please let me know. I wish for us to be able to role play with in the best settings. Also I enjoy my fanfics and with that said I often make remarks on my status streams about them if you ever wish to know what I read if your brave enough to just ask me I will give you a link, Please note my reading for 18 and older, my role plays follow the same logic. Hello and welcome to Galactic dreams.I realize this may be a bit late, we have had a lot on our hands but finally came around to properly welcoming you our little site and slice of universe. We are here to help you find others that will engage in writing amazing stories with you, bring you still amazing edits from great editors and keep artists to create great artworks through commissions, as well as bringing you Originals and other things like free to use PSD's and much more to come. If you are a site we would love to be affies.Are you interested? Please we would like to encourage you to read our rules here. For fatured artist, edits, originals, free psd's and more feel free to visit our profile. We also have two discord servers that you ar more than welcome to join. Our server for originals, help with editing and more can be found here. Our positivity, vent and chat server with meme's, support and more can be found here. Please remember our servers have rules that can be found in them. As well as exclusives for the server. We hope you have an amazing day and that we will able to help you in anything you may need. You may also message us with suggestions on how to improve our site. The name is Shikadai Nara. I'm open to roleplays and storylines. Ha, Sakura here and it's great to meet you! Hopefully we get to become friends, eh? If you're open to role-playing or chatting, maybe both, I'm certainly up for it! In the meantime, how goes it?